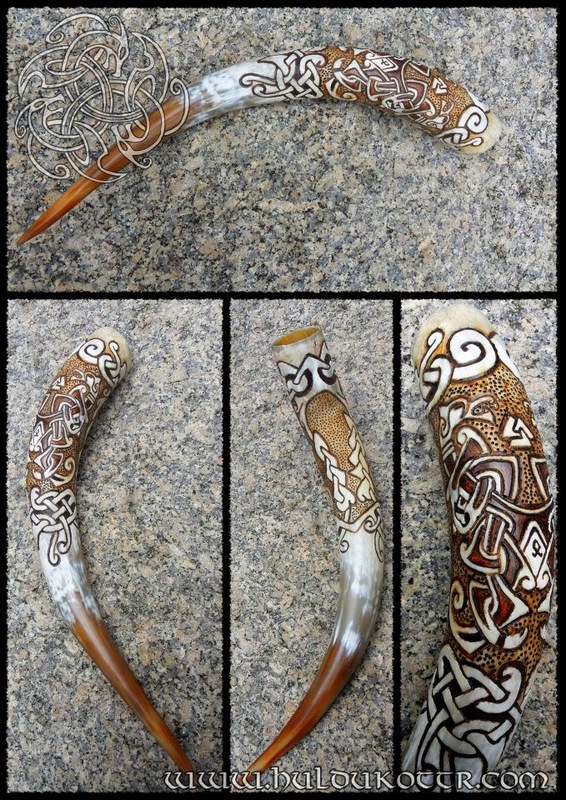 Friends of Asagrim Drinking Horn. Custom work for Mr Simon Gutural. 60cm/24". Patterns carved own designed. 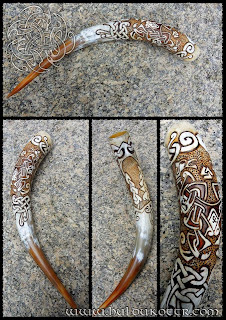 This is our second carved horn. A colouring in the same vein as the first one because both horns are made to be showed together in a wall.